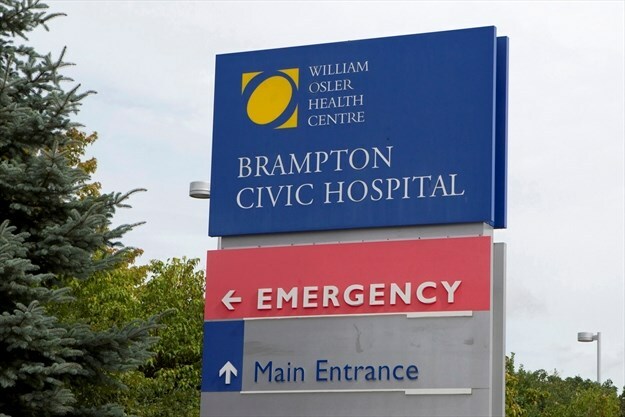 The Ontario Health Coalition (OHC) will be holding a town hall meeting on the province’s sweeping plans to restructure health care on Friday, April 12, in Brampton at Professor’s Lake Recreation Centre. The meeting, which is being organized in conjunction with the Peel Poverty Action Group, begins at 6 p.m.
Friday’s town hall meeting in Brampton is the last of a series of 22 events held throughout the province earlier this year to educate the public about against massive restructuring to hospitals, long-term care, home care, community care, mental health, among other services, said Devorah Goldberg, research and campaign director for the coalition. • HealthForce Ontario Marketing and Recruitment Agency. Goldberg said OHC opposes the new legislation, which has been developed with no public consultation whatsoever and will take away local control of health care services. “The whole process has been undemocratic,” she said. “The process by which this legislation was introduced and has been moved through our provincial parliament is reckless and profoundly undemocratic. Major policy changes regarding vital health care services impacting more than 18 million Ontarians require proper public consultation, meaningful feedback and honest debate,” said coalition executive director Natalie Mehra in a press release. “This legislation was forged in secret without any public consultation. The health minister has never admitted publicly to the sweeping new powers she has written into the legislation giving herself and the government’s appointees in the Super Agency to order, direct, coerce and otherwise force the largest round of health services restructuring our province has ever witnessed,” Mehra said. “This legislation has been rushed through first and second reading in the Ontario Legislature at extraordinary speed so as to limit debate and reduce the time allowed for Ontarians to learn what the legislation means for them,” Mehra said. So far, the town hall meetings have been well attended, said Goldberg. The OHC, based in Toronto, has 50 local health coalitions across the province that represent about 400 grassroots community organizations. Goldberg said the purpose of the town hall meetings is to attract as many people as possible to attend a larger rally at Queen’s Park on Tuesday, April 30, at 12 p.m.
Richard Antonio, Chair of PPG, said there is a link between health and poverty, which is why his organization became involved in the Brampton town hall meeting. Antonio said there is “huge and growing number” of people in Peel who are living in poverty. “These people don’t have a voice,” he said, adding that the government is reducing the number of services that are funded by taxes and moving these services to the private sector. “The end is to make a profit,” said Antonio. Professor’s Lake Recreation Centre is located at 1660 North Park Dr. Brampton.